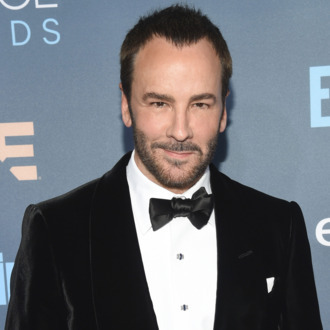 This morning’s Golden Globe announcements have certainly shined fortune’s favor on Tom Ford. The director and fashion designer’s second feature Nocturnal Animals was nominated for a clutch of Globes this morning, including Best Supporting Actor (Aaron Taylor-Johnson), Best Screenplay (Ford), and Best Director (Ford again). The happy announcements, however, are not the film’s, or Ford’s, only Hollywood Foreign Press Association–related news of late. The Hollywood Reporter reported that the film’s voting campaign has come under scrutiny for the swag it sent out to members of the HFPA: two bottles of Ford’s signature scents, one for men and one for women. It’s standard to send eye-catching and memorable marketing fare to overtaxed voting members (the interracial marriage film Loving, as THR notes, sent actual wedding cake), but the problem here is the cost. There is a cap of $95 per film, and together the two bottles of scent retail at about $180. HFPA members were therefore instructed to send one of the two bottles back to make the whole thing fair. Given this morning’s result, it seems like Nocturnal Animals smelled like a winner regardless.